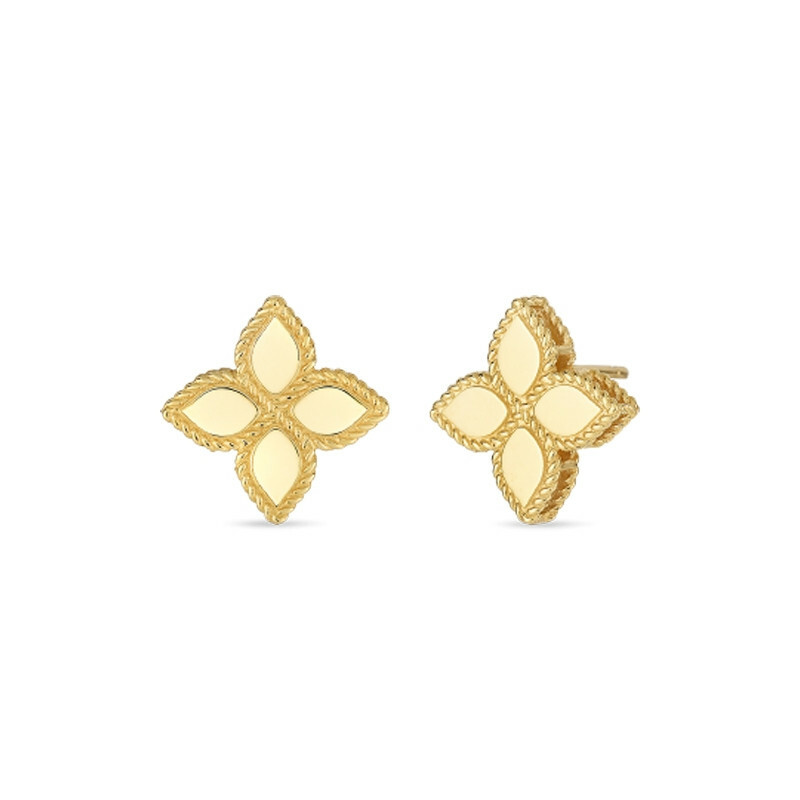 These four-petal stud earrings from Roberto Coin's Princess Flower collection have depth and dimension, thanks to the designer's trademark technique of twisting threads of gold. The textured precious metal frames smooth insets, and builds up a pretty profile, delivering depth and dimension. These Roberto Coin stud earrings will complement just about everything in your wardrobe.